I’ve had a massive, Rowan Gormley style, fallout with Virgin Wines. Having restructured (read less favourable terms) their “Wine Bank” offer, I had the temerity to request the closure of my Wine Bank account. After three emails and two phone calls still no joy. So, no more Virgin Wines. I am storming (or maybe mincing) off in a huff. Luckily, I joined The Wine Society many moons ago and they ruthlessly and relentlessly ship me top quality wines at fair (not cheap) prices. Here is yet another reason to stay a member. Beaujolais 2010 was supposed to be a mere shadow of the magnificent 2009 vintage. 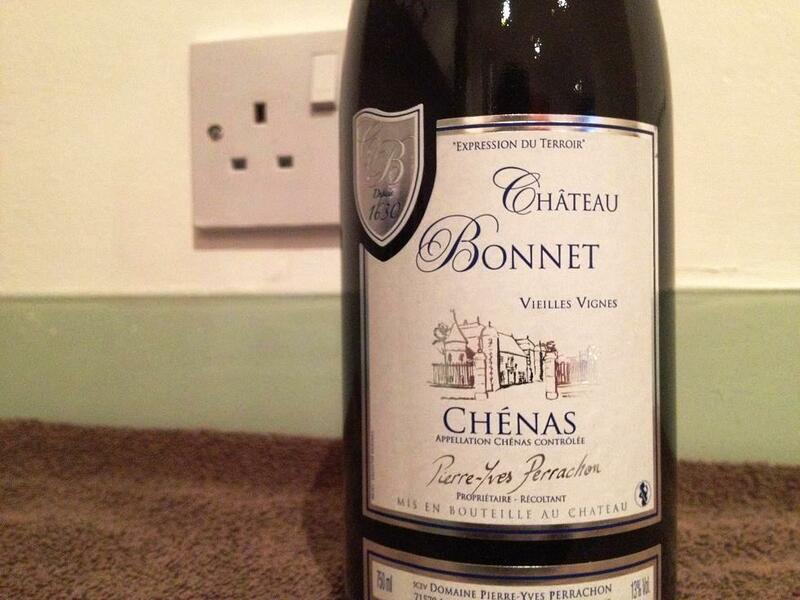 However, this Château Bonnet Chénas (£9.50) begs to differ. Much more serious than “typical” bubble gum Gamay, juicy and fruity but with a smidgen of spice. Think of it as a higher class of jelly (yes, streets ahead of Haribo). Sorry for the lack of humour in this post. Say thanks to Tony Laithwaite and his band of Virgins for that. This entry was posted on Monday, April 23rd, 2012 at 2:43 pm	and is filed under Rest of France. You can follow any responses to this entry through the RSS 2.0 feed. You can leave a response, or trackback from your own site. In the interests of balance, I should point out that eventually I got through to somebody helpful who quickly closed my account, guided me on spending my balance of about £90 on Burgundy, then chucked in a bottle of vintage champers FOC. Fair play. I am no dipsomaniac, but I think the fact I drink bottled still water on Virgin tains rather than their vino sums it up for me. It’s the opposite of BMW ,crap across the whole range.